Amid rumors of a hunger strike and possible starvation, South Korean lawyers have requested access to the 12 North Korean restaurant employees who defected to South Korea in early April. Lawyers for a Democratic Society (Minbyun) submitted a request on Friday to the National Intelligence Service (NIS) to meet the former restaurant workers, asking that the meeting take place after their press conference in front of the North Korean refugees protection center on Monday. The 13 defectors left Ningbo, China on April 5 and arrived in South Korea on April 7 via Malaysia and Thailand. A male manager from North Korea, who allegedly cooperated for the defection, was not included in the list for access. They are staying at the protection center, managed by the NIS, while there have been reports from the North Korea media that the workers were “abducted” and have been carrying out a hunger strike. Rumors have spread through social media that one, named Seo Kyung-ah, starved herself to death. “Regardless of the reason and background, people who are under the investigation by the NIS have the right to receive assistance from attorneys, and attorneys should be able to communicate with the examinee without obstacles,” the press release from Minbyun reads. Minbyun, who also advocated for Yoo Woo-seong to prove his innocence from NIS allegations over the past few years, suggested a recommendation by the UN Human Rights Committee published last November. According to the current South Korean implementation ordinance, the NIS can keep examinees for a maximum of 180 days. “The state party should ensure that DPRK ‘defectors’ are detained for the shortest possible period, and that detainees are given access to counsel during the entire length of their detention … the duration and methods of interrogation are subject to strict limits which comply with international human rights standards,” the report reads. However, access to the defectors is unlikely, as the NIS has never previously approved such a demand. The Ministry of Unification (MoU) has also disapproved. “As I have said several times, they entered South Korea of their own free will. It is improper to meet outside people as they are in the early stage of settlement and finding stability,” an MoU spokesperson said Monday during a regular press briefing. The lawyers expect legal procedures after the press conference on Monday. “If the authorities don’t approve our access, we will file a lawsuit against the government’s decision (to deny access),” Jang Kyeong-wook of Minbyun, who submitted the request, told NK News. “Doubts have been raised about the exceptional background of the defection and we need to verify the rumors (about the status of the defectors),” Jang said. The defections were announced just before South Korea’s National Assembly elections, and just after the North Koreans had arrived in Seoul. It is not standard procedure for Seoul to publicly announce defections, especially before their settlement period is complete. Former government officials and experts have indicated that the NIS was involved in the mass-defection, while the MoU denied any political calculations. A Christian activist, however, said the 12 female defectors were deceived by a male manager of the restaurant with the cooperation of South Korean government authorities. 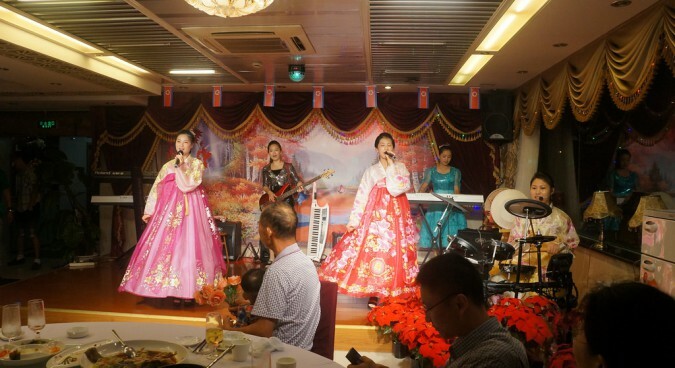 “For the overseas restaurants, the manager keeps the workers’ passports,” Pastor Kim Hee-tae, president of North Korea Human Rights Mission, told NK News.